Experience the beauty and majesty of Pacific Bottlenose dolphins during your memorable Dolphin Encounter at the Dolphin Adventure Center in Nuevo Vallarta. Learn more about one of nature’s most intelligent and beautiful creatures. Interact with these friendly animals right in the water—an amazing experience you won’t soon forget. 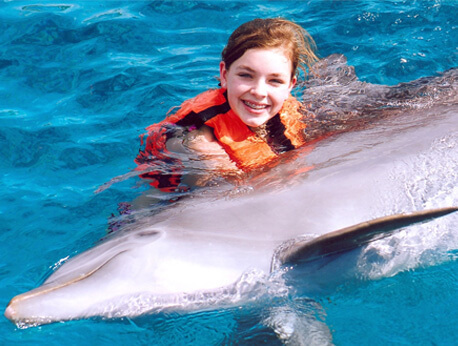 Dolphin Kids is a Dolphin Adventure program brought to you by Vallarta Adventures in Vallarta, Mexico. 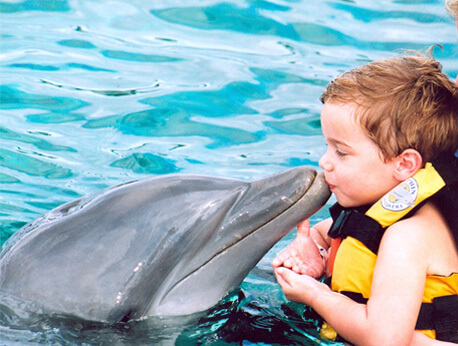 Our program is dedicated to educating children aged 4 to 9 about one of nature’s most awesome animals—the dolphin. One of our trained staff will teach your child about these marine mammals and then supervise an interactive experience up close and personal with a dolphin. 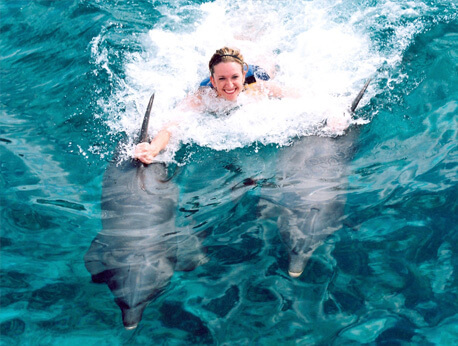 Get a dolphin's-eye-view as you freely swim and play with the dolphins. 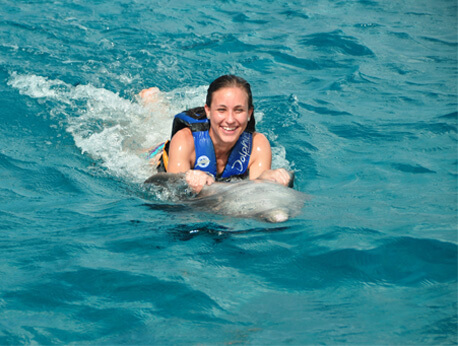 This tour offers guests the opportunity to experience the beauty and intelligence that dolphins exude on a daily basis. This incredible experience will surely make your stay in Puerto Vallarta one you’ll never forget. 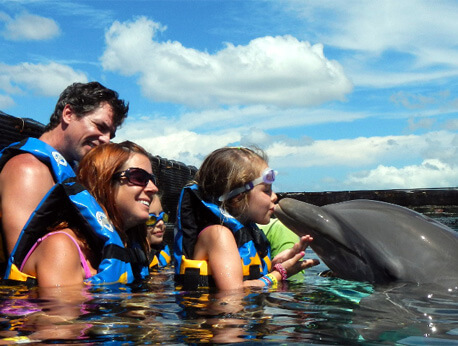 A private dolphin encounter for two people is the perfect outing while you are visiting Mexico's Puerto Vallarta. Whether you share the experience with your significant other or a close friend, you'll forever cherish the memories of interacting with our bottlenose dolphins. You can enjoy belly rides, foot pushes, and more. If you are on vacation in Puerto Vallarta, there are many fun-filled activities to enjoy such as the Private Dolphin Swim for Groups. The tour is available to those who have up to 6 individuals in their party. The Private Dolphin Swim for Groups offers a customizable interaction with bottlenose dolphins.